Anthem is the only game that makes my CPU go this high and I would like to know if it's ok to keep playing like this, as I know some people run stress tests with the CPU on this temperature range for some minutes. I've tested with a Intel stock cooler and with a Hyper 212X, and both yeld same results in therms of temperatures, I can get lower idles with the 212X, but that's really it. For thermal paste I've used Arctic Silver 5 and the Cooler Master thermal paste that came with the 212X, again, both yielding same results. With stock settings, there should be a considerable difference in temps under load between the Intel stock cooler and a CM hyper212X. That hyper212 has @ 1.5x the ability/efficiency of the Intel stock cooler. You shouldn't be seeing temps at those loads over 70°C. There was either a failure in mounting correctly, or cleaning the cpu correctly of applying paste. Or, you have woefully inadequate airflow in your case, basically creating an oven and any cooler blowing hot air through the heatsink isn't going to be able to do anything about excessive temps. You shouldn't continue playing Anthem if those are your temps, nothing that much over @ 70°C is healthy for a cpu. Yeah, I'm confused about the temps. I'll put gaming on hold until I can fix this. Everything seems to be good, but on practice I get this kinds of temperatures. I'll probably send my Pc to a local store for someone to check it, because I'm really lost on this one. Airflow shouldn't be a problem, as I'm using a Corsair 400c, so the cables are all in the back. Is it possible that the CPU in itself may be overheating despite on what cooler I'm using? This 4771 is about 6 years old or so, btw. No overheating due to aging? Got you, thank you both for the response. The mount is tight, there is no wobble on the cooler. Should I tight the mount even more? I'm kinda worried that it may damage the MOBO if I tight too much. Do you have any thermal paste? I would suggest remounting the cooler and changing the paste. Oh okay. That makes things interesting. Can you go into BIOS and increase the CPU fan pwm setting to it's highest value? Is the CPU fan speeding up under load? So, I tightened all 4 screws of my cooler, did it all the way till I felt it was the limit, I got and improvement of 12c or so, then I got back up here and read your message, did some tweaks with the fan speed (which wasn't as straight forward as I though it would be, this gigabyte bios is something... Or I might be blind). With all that, I'm now getting a max of 80c when playing anthem (15 minutes test). Is this "enough"? If it's not, then i must be doing something wrong on the bios with the fan pwm. That's a great improvement but still a bit high. I would monitor your fan speed with software ie:HWmonitor. BIOS can be a bit tricky to navigate especially if its a non UEFI board. I think you are definitely on the right track. You could also increase the PWM settings of your system fans to add more airflow. Even though it's unlikely that your case is the culprit, I think it would still be worth taking off the side panel and turning up all the fans. Let me know how you go. I forgot to mention that one of the copper pipes that should be touching the CPU is bent. Sorry about that, I was looking for help for some time that I got some information mixed up. This is probably why I'm getting 80ºc when playing. I'm now looking to buy another cooler, I'll probably be back here in a week with whatever new cooler I decide to buy. I do accept suggestions! But I'm looking for a air cooler, I'm not sure if I'm willing to deal with any pump breaking. The CPU should definitely not be overheating due to age. Respectfully, although your statement is true concerning earlier processors with a soldered IHS such as 2nd Generation Sandy Bridge, that's not true of TIM'd processors. Keep in mind, it's been found that Intel's TIM (Thermal Interface Material) between the IHS (Integrated Heat Spreader) and the Die, does in fact, degrade over time. This means some 3rd and 4th Generation 22 nanometer processors, (launched 2012 through 2014), may no longer cool as well as when new. All other variables being equal (ambient temperature, Core speed and voltage, properly installed CPU cooler), if thermal performance has degraded to the point where Core temperatures routinely exceed 85°C during normal usage, then better cooling is needed. Core temperatures below 80°C are ideal. Thanks a lot for the info. I wasn't aware of TIM degradation. As for the OP. Another hyper 212X would work well. Maybe the 212 turbo? Bit more bling and the extra fan Just my suggestion. Maybe I missed it, but I never saw the OP's computer specs at all. Also, are you sure the software you are using to read the temps is correct? If one of your pipes is bend, the fluid inside might have leaked out. That would explain the high temps. Same, I was thinking on getting the 212 Turbo MetallicMonk, the Thermaltake Riing Silent 12 Pro is also an option. I've heard good things about br quiet! but I can't find a single place selling it in my country, and I don't want to wait 15 days to get another cooler. At the very least it doesn't leaks, it stays there, That's the first thing I noticed when I removed the cooler for the first time. Hm... Interesting, this was a very insightful reply, thank you so much, I previously had my doubts if age could play a factor on this case. As I've said before, it's reaching 80º C but not going over it, and just when I play this specific game, other games don't make my 4771 panic this much, right now the CPU core is 42º C.
As previously mentioned, I have an I7-4771 with the CoolerMaster Hyper 212X to cool it. My MOBO is a Gigabyte H87-G43 Gaming. Both motherboard and processors will be upgraded when I start to feel that my 4771 can't do the job that I want it to do anymore. PSU is a Corsair CX 650... I think. Graphics card is a Gigabyte GTX 1070 G1 Gaming. I also have 2 sticks of RAM from Corsair Vengeance, each having 8GBs of memory and running at 1600mhz. I can't remember the specifics of my storage system, but I have 2 HDD's, 1 having 500Gigs, and the other having 1TB. Sorry for not posting the specs (and for the long post), didn't though it would be necessary for this post, my mistake. And here is a photo if it, just to show that I don't think airflow should be a problem. Very good of you to include your specs, tidy build. You do it yourself? Back to the problem. The bent pipe on your cooler would almost definitely be the culprit I think. In saying that, any chance you could post a pic of the affected area on the cooler? If you get a chance, could you post a 1080p(high preset) of uniengine superposition? Also, with all due respect to CompuTronix, I wouldn't worry about TIM degradation while you are having cooler issues. You may well find that after you install the new cooler, your temps will be acceptable. Not to discount anything he said. However the cooler is the priority at this point just to be clear. Q: When was the overheating problem first discovered? Q: What is your ambient (room) temperature? Q: Have you checked the three hex head (Allen) screws that fasten the CPU retention mechanism to the motherboard? On a few rare occasions, I've found these screws to be barely finger-tight, which would prevent the cooler (any cooler) from being completely seated on the CPU's heat spreader. The first time I encountered this problem, it was quite baffling as to why the TIM spread pattern was always somewhat spotty and slightly uneven, although the cooler was beyond a doubt, properly fastened. Further investigation revealed that there's extremely little difference in the height of the IHS above the top of the inside perimeter of the retention plate, which is where the high-spots were found to be located. There's perhaps as little as 200 microns difference when the screws are properly tightened. If the screws were just less than snug by only a half turn, the clamping pressure on the IHS was inadequate, which was evidenced by high Core temperatures under load, an uneven TIM spread pattern, and an imprint of the retention plate on the bottom of the cooler. Moreover, since the cooler was securely clamped against the retention plate instead of the IHS, the cooler would still feel snug, which was misleading. I've even gone as far as to grind about 1mm from the top of the inside perimeter of the retention plate using a Dremel tool. All instances involved Gigabyte motherboards with socket 115x retention plates made by Foxconn. Just something to check. Ever since I first encountered this highly unusual problem, I've made it a habit to check these three screws, whether working with new or used motherboards. Further, the screws can also loosen over time due to thermal cycling, which is also true of VRM heat sink screws. Yes! I've been building my own PC for the past 10 years or so. I try to do my research before buying anything, I hardly ask for help, but this time I was between buying another cooler or buying another CPU + MOBO + Cooler, so yeah, I wanted to make sure what I had to do. 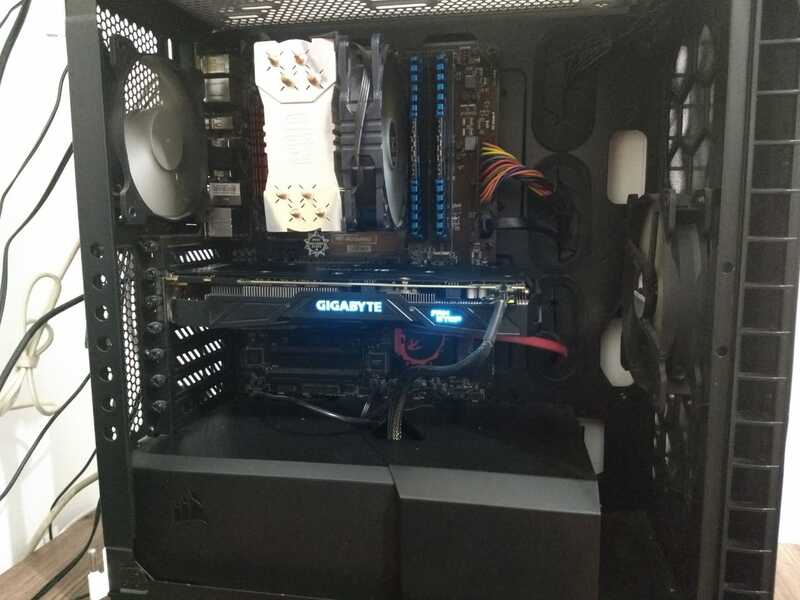 About showing the bent pipe, I rather wait to get my new cooler before posting a photo, don't want to waste paste or ruin the temperatures once again, I hope you can understund, but I'll update with a photo when I get the new said cooler. Have you checked the three hex head screws that fasten the CPU retention mechanism to the motherboard? I once was getting like 80C+ on idle, but that was my Intel stock cooler that broke one of it's locker pins. I bough the 212X and I was fortunate enough to have someone bump into it when I was about to install it on my computer, this was then the pipe bent. I didn't felt the right of asking for warranty because I had an incident, so I just installed it and hoped for the best, and temperatures were fine. 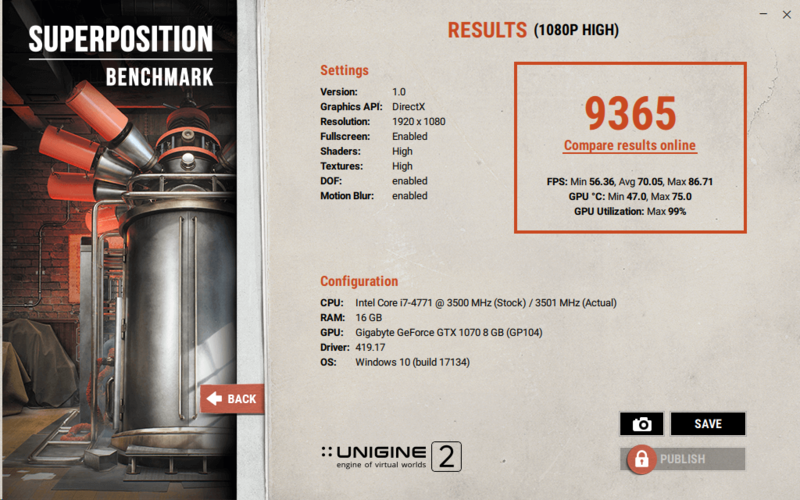 I bough Anthem and decided to see how my computer was doing on FPS, then ended up more impressed with the temperatures than the FPS itself. I don't see such high temperatures when playing other games. I first played Anthem on February 1st. About the temperature... That's a tricky question, I recently moved places and here is usualy hotter than the place I lived before, but my room is an oven, my guess is that it reaches over 40c at some occasions. ... I had no idea about it, never even considered thinking about those three screws... Now I'm on a dilemma, I kinda want to check on them, but at the same time, I want to wait for the new cooler to arrive. I'll definitely keen and eye on it. Nice one! I look forward to seeing whether or not your new cooler will solve the problem ( my bet's on it ). Totally understand not wanting to snap a photo of the cooler atm. ... About the temperature... That's a tricky question, I recently moved places and here is usualy hotter than the place I lived before, but my room is an oven, my guess is that it reaches over 40c at some occasions. Now it makes sense ... ambient temperature can be a HUGE variable. Members post Threads on our Forums who live anywhere from the arctic circles to the equator, so indoor ambient room temperature could be anywhere from 10°C to 40°C. Since all computer temperatures increase and decrease with ambient temperature, if no one asks and you don't say, then we all proceed on false assumptions that your ambient temperature is somewhere near normal. 40°C is WAAAY above normal. In addition to full system spec's, ambient temperature would've been good to know from your first post. Ambient temperature is a reference value for Intel's Thermal Specifications. The international "standard" for "normal" room temperature is 22°C or 72°F, which is the accepted room temperature most comfortable for the vast majority of people, summer or winter. Your rig is running in an extremely hot computer environment, which is 18°C or about 30°F above normal. That's certainly worth mentioning. If your ambient temperature was normal, then your Core temperatures during gaming would be closer to 60°C, which is normal for a CPU intensive game. Very high ambient temperature is exactly why your Core temperatures during gaming are reaching 80°C, which is only about 40°C above your ambient temperature. Perfectly plausible and understandable. A new cooler will definitely improve your Core temperatures. However, even the most high-end air or liquid cooling will run 18°C hotter than normal in your high ambient temperature. For the benefit of our other Members, when posting temperature Threads, please provide full system spec's including ambient room temperature. It'll save those who respond from spinning their wheels. CPU reaching 100% usage on high end games. Ryzen 5 2600 reaches 85C when gaming, is this too hot? i5 7300hq full capacity in-game. How to reach it? CPU reachs 90/100 degrees in-game. Question What is the best software to remove meta data from photos before posting on the internet?